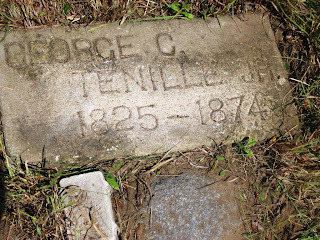 Tombstone Tuesday - George C. Tennille Jr.
Treasure Chest Thursday - Corn Anyone? 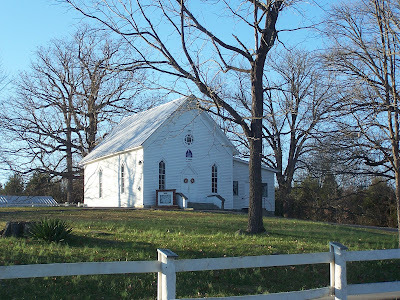 Family History Through the Alphabet - "K"
Wordless Wednesday - Do You Know Where This Is? Sentimental Sunday - Irene Was Once A Baby, Too! SNGF - Who Has The Most Census Records? Family History Through the Alphabet - "J"
Obituary and Confession Rolled Into One! Maritime Monday - Another Pic of Walter! SNGF - Your Own Newspaper Article! This past week I received a wonderful old copy that was taken from the fly cover of Reverend Samuel Parkins Bible. 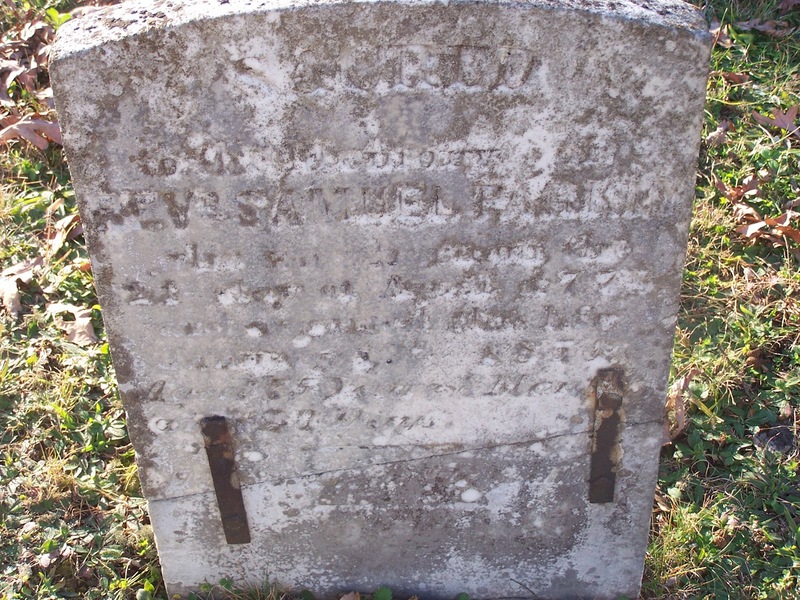 Samuel was born 21 Apr 1778 to James Parkins [1741 – 1825] and his wife Elizabeth [1779 - 1832]. I was thrilled to see so many names and dates directly in the Bible!!! While much of this provides another source for dates we have already proven elsewhere, it did give me a name I do not have in my files. That of “Merion F. Bruffy”. So, now I will need to locate this person! I am thrilled, and thankful to have had this wonderful copy sent to me! [Thanks Earl!] 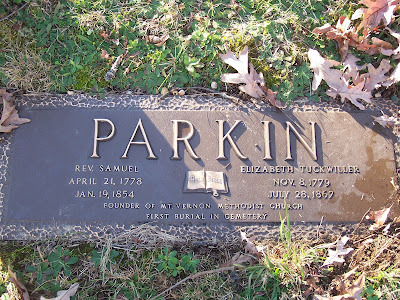 And can’t wait to finish up other projects so that I have the time to delve into my Parkins family more deeply! 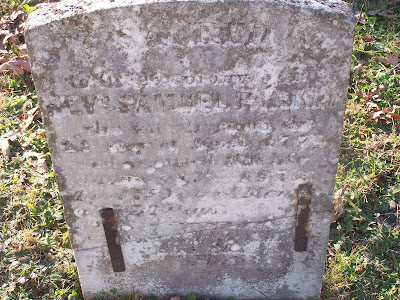 Reverend Samuel Parkins was my great-great-grandfather. Click on our ad below to claim your savings today! After Grandpa Dreher passed away in 1977, Granny came to live at Mom & Dad’s house the following year. My first husband and I had purchased a mobile home and Mom & Dad kept it when we moved away. Granny came to live in that. Granny went to church with Mom every once in a while, but not on a regular basis. So, sometimes Mom would ask Granny if she minded fixing Sunday dinner for the family. This was one of the meals that Granny made frequently in the summer. 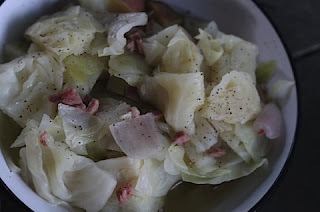 Cabbage and potatoes came from the garden. So the only ingredient that had to be purchased was the ham. To this day, it’s one of my favorite meals, and I can’t help but think of Grandpa Dreher [who loved it] and my Granny whenever I make it. Hmmm….come to think of it, it’s probably about time to put this on to cook again! Place all ingredients in a large stock pot. Cover with water to the top of ingredients. Place on medium low heat. Add salt and pepper as desired. Simmer for approximately 4-6 hours. Serve hot with or without broth. Your mission, should you decide to accept it, is to COMPETE in the 2012 SNGF Genealympics. Your effort can extend until Sunday, 12 August. For these 2012 SNGF Genealympics, the motto is "Research, Cite, Analyze, Resolve, Conclude!" 1) Perform one or more of the challenges outlined in Announcing the Summer 2008 Genea-Blogger Group Games! Same medal levels. a) Design your own Genealympics flag to represent your ancestry, heritage or personal expression. Unfortunately, the custom flagmaking web site used in 2008 is no longer available, and I could find no other free site that did a similar function. It may be easiest to use the Flags of the World site, save the country flags of your choice, and create your own graphic using a graphics program (or any program that will let you import and manipulate images, and save the image for display. b) Pick any one of your 16 great-great-grandparents, or one of your spouse's 16 great-great-grandparents. 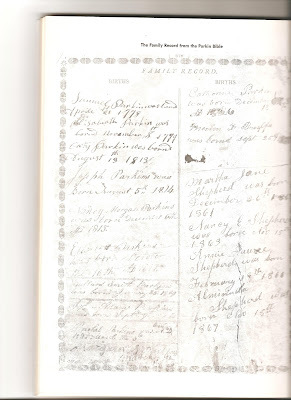 How many descendants of that person do you have in your family tree records or database? (Hint, a Descendants Report in your genealogy software should easily provide this number). c) Pick one of your ancestral surnames, or one of your spouse's ancestral surnames. How many generations back from the last person with that surname in your ancestry have you researched, identified and accept as your ancestor? [Note: if you are doing your own surname, don't count yourself). d) Pick one or more of your end-of-line ancestors (you know, one that you don't know the parent(s) of). Review your collected data, research log, and database and create a Research Plan to do a Reasonably Exhaustive search for the selected ancestor(s). NOTE: This is supposed to be a fun competition, and is based on your word and honor. No drug tests, no judges. The intent is to inspire you to do more research, cite more sources, analyze more data, etc. Bonus points awarded for excellence in humor and style! 3) Whatever you choose to compete in, please tell us about it in your own blog posts, in Facebook Status posts, in Google+ Stream posts, or as a comment to this post. You don't have to post your status or accomplishments on a Saturday Night! Any time is fine! You have until Sunday, 12 August to compete and achieve your medal levels. 4) There will be additional events posted in next week's SNGF. If you have suggestions for more events for these SNGF Genealympics, please pass them on to me in Comments or in email (rjseaver@cox.net). I thought I would count my ancestors descendants. Thinking this would be a breeze, I use FTM 2010, I was wrong! The program does not give a number to all individuals listed. For instance, no one in the final generation was even numbered. [I think I’ve blogged about that before!] Checking online for help didn’t help at all. A genealogy descendant report gave me the same numbering system as the chart did. Many generations listed children simply as i., ii., iii., iv., v., etc. I have a really lousy photo program… and I haven’t been able to get the layering to function properly to make a flag that I like. And so I turned to C, and decided to check back on the ancestor with the surname Wiseman. 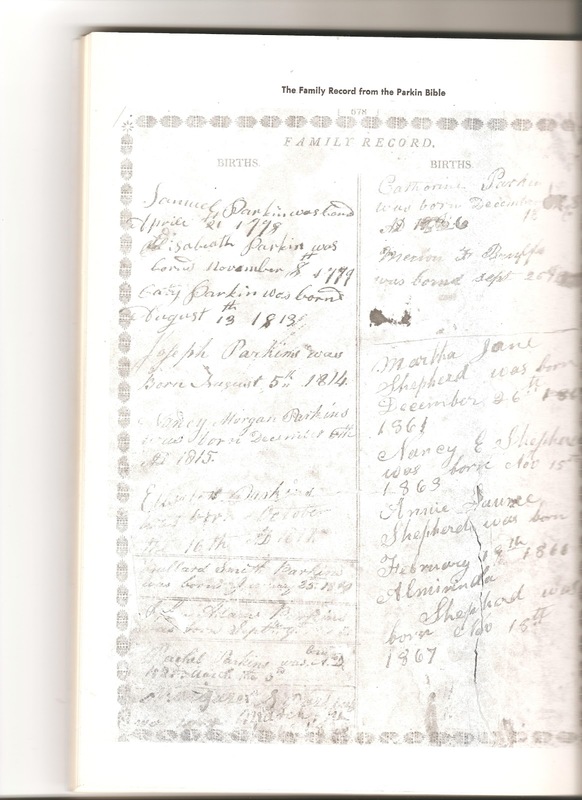 My latest direct ancestor with the name Wiseman was my gr-gr-grandmother, Rachel Wiseman [1790-1856]. From her, I can count back 7 generations to Robert Wiseman [1595 – 1625]. We were able to confirm his marriage just this past week for 1620 in Norfolk, England! Thanks again Randy for another great SNGF challenge! Guess this a Silver medal!!! Today we delve, once more, into my hubby’s family ancestry. We will revisit the ”Tennille” family. And this is as far as we have come with the Tennille family. 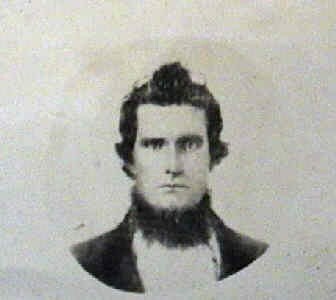 I have seen several other “researchers” claim to have found George’s father, and list him as “Jon”. However, I have been unable to find any verification, sources or citations to provide proof of this claim. Save $50 when you purchase a Flip-Pal mobile scanner with Digital Creativity Suite 3.0 DVD plus a Deluxe Flip-Pal mobile scanner Carry Case with Pocket and an Eneloop AA 4 Pack with AC Charger! Click on our ad below to get your savings today only! My Aunt Mildred makes the best fried pies in the whole wide world! Usually, he fills them with a sweet apple mixture that she has stewed on the stove. I always wanted to be able to make them as good as hers... but when I've asked her for her recipe, she's quite the elusive cook! "Oh, it's a touch of this, and a pinch of that!" But recently I learned of a delicious fried pie that I could make myself! And my family loves them! While they are still not Aunt Mildred's... I think they are quite passable! And I can proudly take them to family reunions as my own version! Here's my version of a delicious fried pie! Make sure you use the flaky biscuit dough, or the fried pie will come out tough! Separate the biscuits and place one on your dough board. Using a non-stick rolling pin [or lightly powder the rolling pin with some confectioner's sugar], roll the dough out to a moderate thin disc. It doesn't have to be perfect! Just a general round shape. Use aproximately a teaspoon of nutella and..
spreading it out, but be sure to leave about 1/4-inch around the edges. If you don't leave this space, the nutella will leak out as you fry it! ...use a fork to firmly crimp the edges closed. 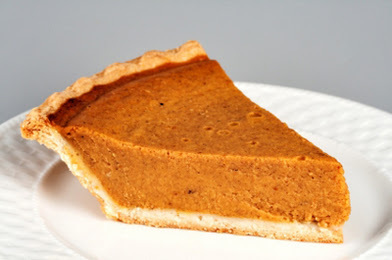 Be sure to flip the pie over and crump the other side as well! I use a cast iron skillet for this, as once you get it hot, you can lower the heat tremendously and fry the pies more safely. Remove them from the heat and place on a paper towel to drain the oil from them. Lightly powder them with confectioner's sugar while still hot. Once you feel confident, you can use all kinds of substitutes for the filling.I've even used pineapple preserves! But I love using cherry pie filling, or stewed apples, just like Aunt Mildred's! While Aunt Mildred makes her dough from scratch, I cheat a little bit. But these are so tasty.... who cares??? Certainly not the folks who get hold of these and eat them up! Be warned..... these are highly addictive! This darling little creamer and sugar bowl set was a gift to me by my sister. They are occupied Japan series of creamer/ sugar sets. Each little kernel of corn is in relief. They are a delicate construction, that almost feels like plaster rather than china. So I hand wash them. My sister has an extensive antiques collection, and has given me many wonderful items over the years. I truly treasure each one.... but this one is special. It so reminds me of my Granny Dreher!!! Aren't they the cutest little niblets you've ever layed your eyes on???? Save 15% on all Flip-Pal mobile scanner accessories—minimum $60 order! Click on our ad below to order today! This week we are up to the letter "K", as we work our way through the alphabet. This was a no-brainer! When I hear the letter "K" I automatically think of my sister, "Eydie Kaye". My beautiful sister is 22-months younger than I am, so growing up we were extremely close. And we remain close today. In 1995 our Mom had a brain aneurysm with subsequent strokes that followed. She has been somewhat of an invalid, physically and mentally, ever since. But Sis didn't hesitate to move Mom and Dad into her home and begin caring for Mom full-time.Yes... full-time, all the while finishing up raising her daughter, and also working full-time outside of the home! 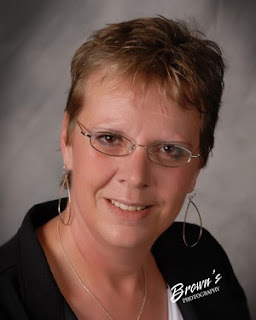 This beautiful lady is a caring and giving person in every sense of the word. She loves fiercely, so don't mess with her family! And she's there, every single time I need her. Can you tell... my Sis is my hero? And I love her dearly. It is through their daughter, Margaret Smith Perkins, that I am descended. Margaret was my great-grandmother. Margaret married William McHarvey Bean [1832-1890]. Their son John Monroe Bean [1866-1954] was my grandfather. Rev. Samuel Parkin and his wife, Elizabeth Tuckwiller Parkin, are buried at Mt. Vernon United Methodist Church cemetery, in the upper ["old"] cemetery, located to the rear to the church. Samuel was a founder of the church, and was the first burial in the cemetery. Save $40 when you purchase a Flip-Pal mobile scanner with Digital Creativity Suite 3.0 DVD plus a Deluxe Flip-Pal mobile scanner Carry Case with Pocket! Click on our ad below to order yours today! 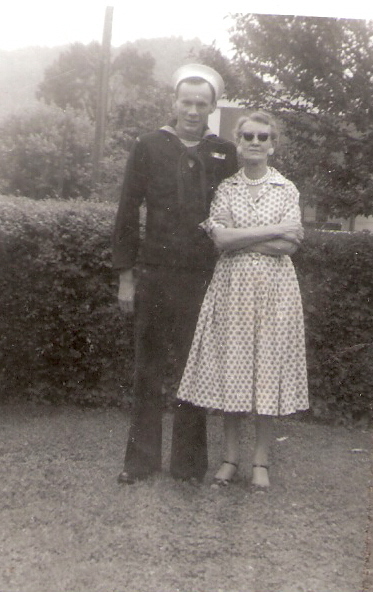 Here's another pic of my Dad in Naval uniform, visiting his sister, Rita Tyree Bean Holland [1896 - 1993]. I'm going to guess about 1960. Aunt Rita was my favorite paternal aunt. She enjoyed telling me stories about our family, from days long gone! A tiny, petite woman, she had a spirit and heart bigger than anyone else! Week 30: Genealogy Serendipity. Every genealogist has tales of surprise findings or coincidences when climbing the family tree. What is your most memorable serendipitous discovery? Did it involve ancestors in your tree, living folks or both? How did this surprise affect your research and does it still impact you today? I was born as a baby-boomer in the 1950's. My parents were young at the time of my birth, Dad was 22 and Mom 21. My Grandpa Bean had died 5 years before I was born, so I never knew him. It wasn't really until 2001, when I totally submerged myself into all things genealogy, that it really hit me about my Grandpa! My Grandpa was born a year after the end of the Civil War! Yep, you read that right!!! Sounds really strange today to hear someone as young as my Dad make the claim that his Grandpa fought in the Civil War. But it's true!!! At the close of the Civil War, my great-grandmother found herself in Ohio, having moved there on her own with small children, by oxen-pulled wagon to be near her soldier husband. They intended to move back to West Virginia, but Great-Grandma was soon in the family way, and so they waited until after the baby was born, in December of 1866, to move back. Yep, that was my Grandpa! I am told it was a bitter cold winter, and they came back in the worst possible time, just a couple of weeks after his birth on the 15th [around New Year's!]. The way Grandpa told it to Dad, his mother carried him inside the bodice of her dress to keep him warm. At night the older ones had to sleep under the wagon, and the younger ones bundled with Great-Grandma inside to stay warm. Grandpa wasn't a very tall man [about 5'7"], and all the men, including his own sons, towered over him at about 6-feet tall, and taller still! I am told Grandpa used to tease and say that the travel to West Virginia in the dead of winter stunted his growth! Froze it right outta him! As if that wasn't confusing enough to a youngster...."Yes, dear, Grandpa's Daddy did fight in the Civil War!"..... I had the huge family to deal with! Grandpa was in his 30's before he ever married. And before he died, he'd fathered 15 children. From three different wives. Nothing sordid here. No divorces, or anything like that. Grandpa had simply outlived his first two wives, who had the sad misfortune of dying at early ages. His first wife was just 20 years old when they married. She was 8-1/2 years his junior. She gave birth to three children in 7 years. Then she succombed to "consumption" [tuberculosis]. Five years later, he married again. This time a woman 17 years to the day younger than he was. She not only took on the task of finishing raising his first three children, but promptly began having her own babies as well. Nine of them in 22 years. Her last at the age of 45. Because she did not receive good prenatal care, she died following the birth of the last child from toxemia. Try explaining that to a kid! My oldest aunt was actually a year older than my own Grandma! And my first cousins called my Grandma, "Aunt Mary". [Can you imagine the conversations we cousins had as kids??? "She's my Grandma, and we had the same Grandpa, so why isn't she your Grandma too? ", or "How can Aunt Rita be my aunt, when she's older than Grandma?"] Our parents simply told us the ever indulgent, "Because that's the way it is!" answer! In 1954 when Grandpa passed away, he'd buried two wives and four children. He'd had his father murdered, and lost his mother a short 13-months later. Some say to heart break. He'd lost all but one of his eight siblings. Did it affect me learning so much about the man? The pain he must have endured? Knowing that he fathered a family so very late in life? Yes it did. I believe that of all four of my grandparents, I know more about the real man than I know about the other three combined. I know from his children that he loved them all fiercely. That he adored his sons and daughters. And when he lost the fourth child, he nearly lost his mind. I know that he was never content with what he had, but was forever searching for the brass ring. And no one had to tell me this. Census records, and his own journals and store ledgers tell the account. His feet forever itched for a different place to call home. And his hand itched for a better income! He tried a dozen or so businesses! When I visit the cemetery where he lies, I often sit right down on the grave and talk to him. I also talk to his mother's grave. I feel like they are just beyond a thin veil and hear every word I say! I have often felt their presence and their guidance. But forever will I be amazed that a man well into his 70's became the father of my father. That his father was a soldier in the Civil War. That he lived a life that encompassed and touched so many! And that continues to touch to this very day. For some reason, we never seem to think of our grandparents as babies! But here it is, the proof that Granny Dreher was not simply born as Granny. But was, actually, once a baby too! This portrait is actually a very clear one, but it is extremely fragile and cannot be removed for copying or photographing, and so I had to photograph it through the glass front frame. Without a tripod with me, it became somewhate blurred, but that's okay. It is clearly visible! Irene Caroline Banet was born on 24 May 1906 in Floyd County, Indiana to Francis Isidore Banet ["Frank"] and Adeline Josephine Eve Banet ["Della]. This portrait was made of her in her christening gown, which occurred at St. Mary's of the Knobs Catholic Church in Floyd County. Thanks to Randy, over at Genea-Musings, we have another great challenge for this evening! "Rise up, O Genea-philes... it's Saturday Night ... and time for more Genealogy Fun! 1) Determine which of your ancestors has appeared in the most census records - any census! (this topic was suggested by reader bgwiehle in an email several weeks ago. Thanks bg!). 2) Tell us about it in your own blog post, in a comment to this post, in a Facebook Status post or a Google + Stream post." Okay, this started out as something complicated, and going to take me all night to figure out! But it was actually quicker than I anticipated! Who in my family tree lived the longest, and from that information, who would have been on the most census records from that list. One name stands out above all. My 91 year old great-grandmother, Adeline "Della" Josephine Eve Banet. Born 11 Feb 1867 to Joseph Eve and his wife, Annette [both from France], she married Francis Isidore Banet [1863-1945] on 31 Oct 1893 in Floyd Co., Indiana. She went on to be the mother of 8. She died 05 Nov 1958, in Floyd County, and is buried at St, Mary's of the Knobs, Floyd Knobs, Floyd, Indiana. Her daughter, Irene, was my grandmother. 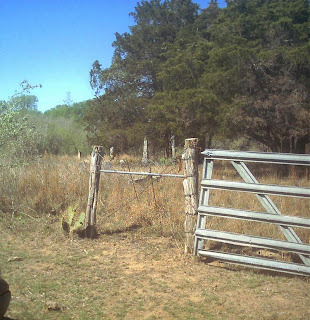 This week, we will once again take a look at some of Texican's ancestors. The Williams family. 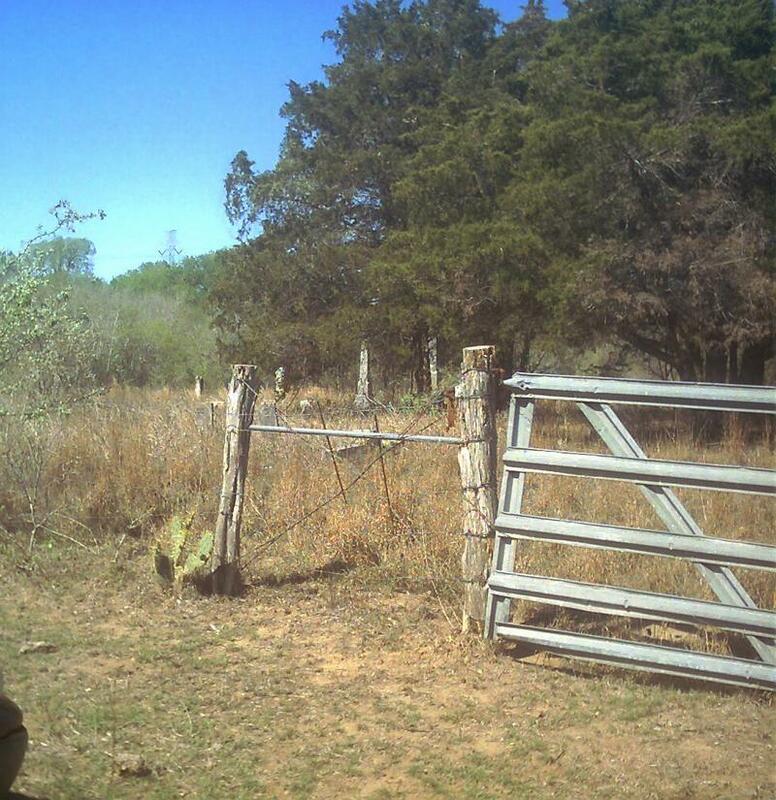 in San Antonio, Bexar Co, TX. Jul 1854 in Smith County, Tennessee. He died on 02 Apr 1928 in Obion County, Tennessee. 1854 in Cordie County, Kentucky. She died on 23 Dec 1933 in South Fulton, Obion, Tennessee, USA. Jessie H. WILLIAMS was born in 1817 in Kentucky. He died before 1880. 23. Rebecca Cook was born in 1820 in Virginia. Purchase a Flip-Pal mobile scanner and get a Deluxe Flip-Pal mobile scanner Carry Case with Pocket FREE! Click on our ad below to order yours! When I was a child growing up, we often visited my grandmother's younger sister, Veda, in Bumpass, Virginia, near Richmond. This is so delicious! You've gotta give it a try! For the filling, using an electric hand mixer, combine the potatoes, 1 cup of the sugar, the butter, eggs, vanilla, salt, and spices. Mix thoroughly. Add the milk and continue to mix. Pour the filling into the pie crust and bake for 35 to 45 minutes, or until a knife inserted in the center comes out clean. Place the pie on a rack and cool to room temperature before serving. Top with whipped cream [not the non-dairy topping stuff! Get out the real cream and your mixer for this!!!]. It's also delicious with sour cream! Save $40 when you purchase a Flip-Pal mobile scanner with Creative Suite Craft Edition DVD plus a Deluxe Flip-Pal mobile scanner Carry Case with Pocket! See our Flip-Pal ad below and get yours today! Many years ago, way back in 1867, a baby girl was born to two French immigrants to Indiana. They named her Adeline Josephine Eve. When she was married, in 1893, her mother gave her the china hutch that her father had made for as her wedding gift. It was made sometime before 1858. Today it sits in my Mom's dining room. 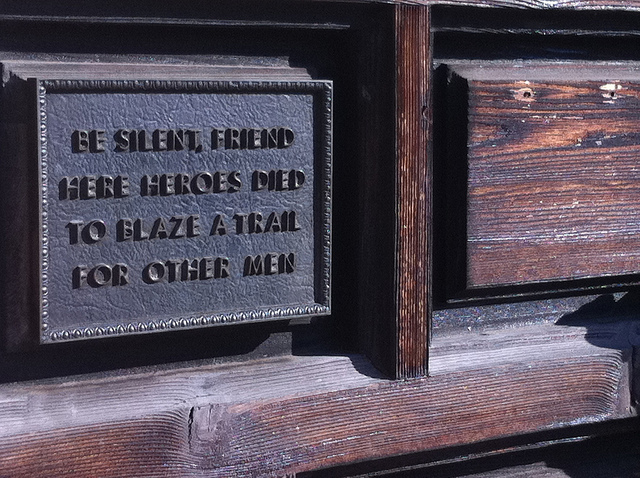 The doors are hand carved, and although they are almost identical, they are not perfectly so. It is a beautiful old family piece that was loved when first constructed, and whose owners consider it more a treasure with each passing generation. Adeline died on 5 Nov 1958 in Floyd County, Indiana. She was my great-grandmother. Following with the challenge of Family History Through the Alphabet", [here], this week's letter is "J". I didn't have a tough time coming up with this one! I decided "J" was for "Junior"! My maternal grandfather was Henry Condar Dreher, Jr. Now, there's a bit of a secret to Henry's name. His birth record, as well as his death record stated his middle name was "Conrad", however, when I was 15, he sat me down and told me a bit of family history, and several family secrets [some of which he insisted must go with me to the grave, and which today wild horses could not pull from my lips!]. One of Henry's secrets was that there was an error on all of his records, that his middle name was NOT Conrad, but was in fact CONDAR. Something which, until my dying day I will defend. Henry insisted that Conrad was a "Russian" soldier name and was not Germanic, his father's middle name had been anglicized, he insisted, and was carried over to him, but that he insisted his family know the truth! 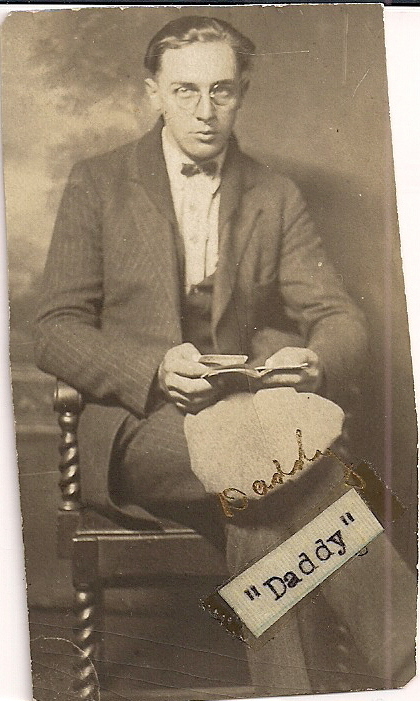 This is one of my absolute favorite pictures of Henry, taken 1925, when he was 23 years of age. This is a pose which I saw him in alot, reading. Henry was a scholar. Until his dying day he insisted that a person should never stop learning. Henry read the dictionary and his Bible daily. Yes, you read that right! The dictionary! He said that one should try to improve his knowledge of language every day. He had a large library collegiate dictionary [one of those 30-pounders!] which he read from daily. He memorized every new word and its definition. A word a day!!! As well as Scripture! A new verse every single day. When asked to, Henry could quote entire chapters from the Bible. He was a master carpenter! He made many beautiful items. This is but one of a matching pair of hanging corner cabinets that Henry made for his daughter, my Mother. [That's his portrait hanging to the right of the cabinet]. Mother has these hanging in her living room. If I could say there was one person I would aspire to be more like, it is Henry. Henry was born on 31 Dec 1902. And he died on 17 May 1977. Of all the people who have come and gone in my life, I still feel the loss of him most profoundly. So many times I have thought how I'd love to be able to sit down with him and ask him what he thought about something. I miss him so!!! Yes... "J" is definitely for "Junior" today. Henry Condar Dreher, Jr. that is!